Looking for the Paradise people go to the end of the Earth and directly to the depths of Space. However the heavenly spot is there where the person finds Himself. First of all, it is necessary to look in the internal space. For this purpose it is necessary to stop external vanity, to switch on the music and to begin a way to the spiritual space. And only there the Paradise Gate will open for You. The Album with the deep sense. 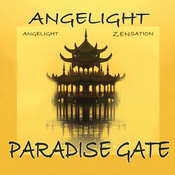 Angelight Music in traditional transformational style – meditative and rhythmical covering and calling in deep conditions. It is possible to listen, simply having relaxed and traveling to the world of light images. It is possible to use this music for yoga or meditation, or to reflect over meaning of the life in a philosophical solitude.